Phew, that was a loooooooooooooooooooooooooooooooooooooong winter in movie land; especially for the cinematically isolated island of Crete, where we sit, unsure if even the biggest movies releases will make it to our humble shores. As enjoyable as Avatar was as a movie going experience, I believe the fact that it stayed top of the charts for so long in the US of A was mainly due to a distinct lack of competition. So it is, with great pleasure, that we now welcome Martin Scorsese’s latest journey into movie making; "Shutter Island", starring Leonardo Di Caprio and Ben Kingsley to name just two of the many recognisable faces. The Scorsese/Di Caprio partnership has now become a familiar one with Leo starring in Scorsese’s last 5 feature films, and Scorsese really has succeeded in bringing out the underlying talent from the once typecast pretty boy that we all remember from the "Titanic". Even when those films were found to be lacking in some areas, Di Caprio’s performances have been top notch. 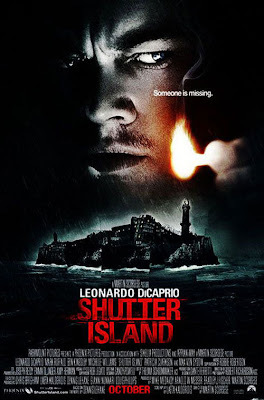 "Shutter Island" is no exception, only that it is also a really impressive movie to boot. We meet our main character, US Marshall Teddy Daniels, on a ferry to a hospital for the criminally insane with his newly assigned partner, Chuck (played by Mark Ruffalo) to investigate the apparent escape of one of the hospital's patients. Upon their arrival, it soon becomes apparent that there is more to this place than meets the eye and as the plot unravels further we discover that Teddy has his own agenda on the island, but getting to the bottom of it all is going to test his own sanity. I have read comments about the great photography, powerful supporting cast and the clever script of this deep psychological thriller; and while I agree with all of these statements, I must add how surprised I was by the directing. Scorsese has been directing longer than I have been living, but this is a movie where he has chosen to step away from his own conventions on movie making. Gone are the gangs, and the streets and the brutal violence; replaced by dark, atmospheric scenery, haunting characters and horrific images broadcasted through the medium of dreams. There were moments I had to pinch myself so that I was reminded exactly whose work I was watching. A brave move, but he definately pulled it off! Since it may have been a long cinematic winter in Crete (although I have some reservations in certain movies! 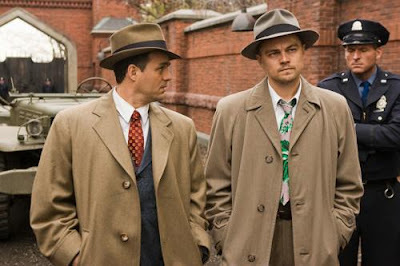 ), you may be pleased to know that Shutter Island still hasn't opened in London! We have another 10 days yet, so hurrah for the Cretan exclusives! Since in your review you mention Scorcese stepping away from conventions (gangs etc), I should mention that there is another movie that is -possibly- using the same techniques, namely Cape Fear!